If there’s one thing I hate, it’s a stale blog. We haven’t updated this blog in a while and it’s time to change that! As always, we had a fantastic time at the SCAA conference and returned home with a very clear direction of what this year will look like in terms of innovation and updates for RoastLog. The conference is always a big recharge for us as the feedback we receive is always very very positive. Since coming back, we’ve worked on a couple of tasty treats in the form of a RoastLogger update. 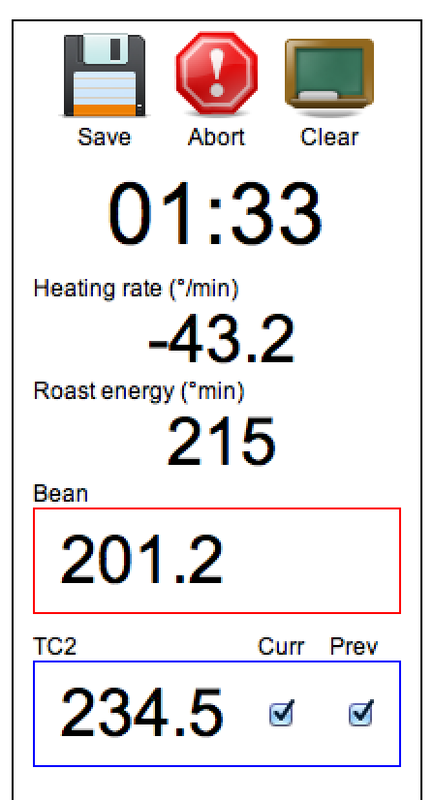 RoastLogger 2.3.1 has some significant improvements to the way events are displayed as well as some new data to help you during your roasting. 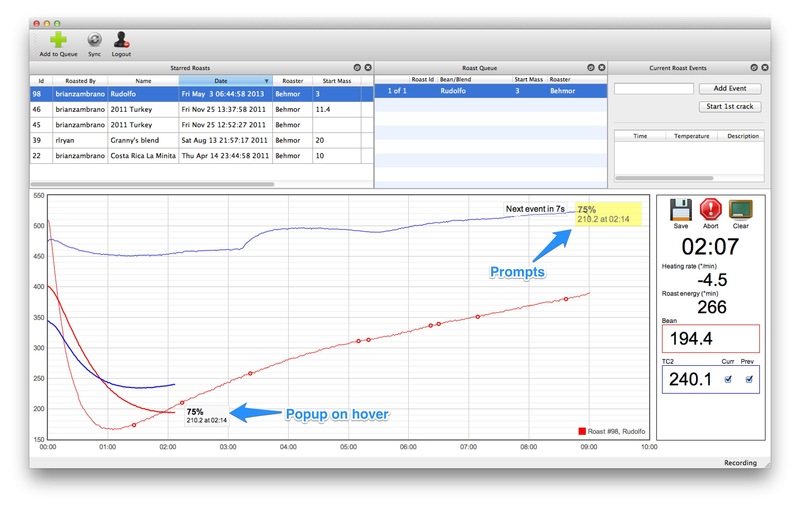 Up until now, any event you would mark on the plot would be displayed in a table. Now, these events are marked on the curve just as they are on the website. What’s better, when you are roasting you will be prompted with details on the upcoming event 30 seconds before it occurs. In addition to this, hovering over the event “dots” will display the details for the specific event, making it easier than ever to know what you did previously. Some time ago a user suggested displaying “Roast energy” in real-time. We loved this idea and made it happen. In case you’ve never used or seen the “Roast energy” value it can be found on any roast detail page and is a measure of how much total heat energy you applied to a coffee during the roast. If a roast has a higher “Roast energy”, it was subject to more heat energy than a roast with a lower “Roast energy” number. We’re excited to hear how roasters use this new metric. If you prefer to not see this it’s easy to toggle if off via the “View” menu. With it on, this number will update in real-time during roasting. Thanks to again to everyone who came out to talk with us in Boston! For all of our existing users, enjoy these new updates. Feedback is always welcomed.